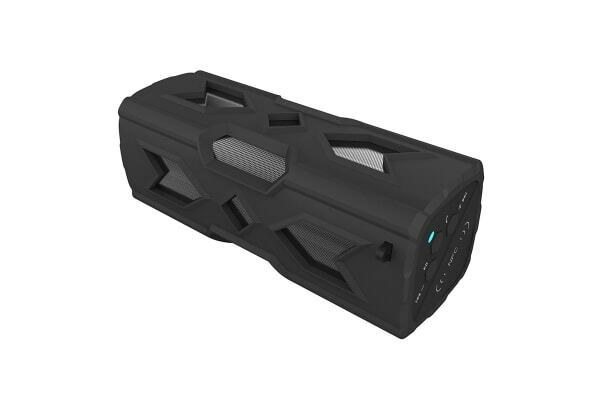 The Kogan IPX4 Water Resistant Bluetooth Speaker with NFC lets you unlock powerful sound wherever you go with bass booming sound in an ultra durable, IPX4-rated water resistant housing. 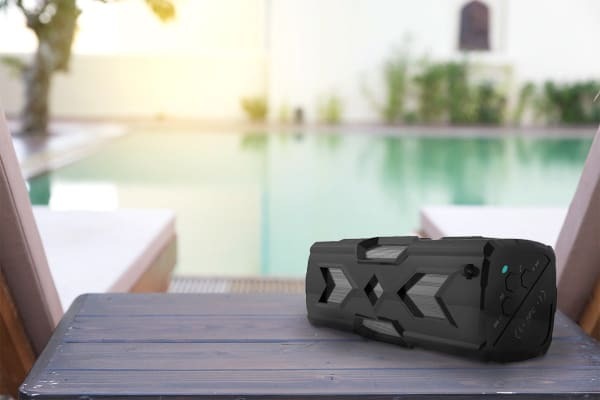 The Kogan IPX4 Water Resistant Bluetooth Speaker is the perfect adventure companion, delivering crystal clear sound with dual 3W speakers and up to five hours of playtime. The rugged IPX4 water and sand-resistant rating means this powerful speaker can easily survive a day at the beach or a poolside splash. 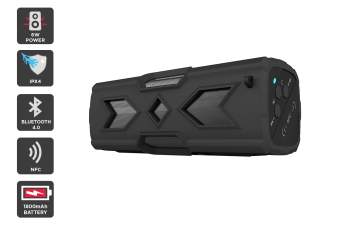 NFC automatically pairs your Bluetooth device to the speaker without a password and the built-in 1800mAh battery can be used to power your phone in a pinch, making it perfect for day hikes, beach parties and road trips!